Are you looking for a vibrant golf course community with a variety of amenities coupled with a quality builder? Well, you found it at Esplanade Golf and Country Club. The attached coach homes come with designer facilities such as spa inspired bathrooms and upgraded kitchens. Most of the maintenance free villas have a size of between 1500 and 2000 square foot. The cost of the coach homes begins at the high $200,000s. Maintenance free villas are free-standing single family homes which include yard maintenance. The size of the homes is between 1800-2200 square feet. The prices start in the $300,000s. Additional features include gourmet kitchens, pools, outdoor kitchens and many other options. Esplanade is growing with the addition of Esplanade Golf and Country Club. This section features an 18 hole championship golf course, pro shop as well as fully equipped clubhouse with fine indoor and casual outdoor dining. Inside the clubhouse, there will also be a wine tasting room and chef market that offers cooking classes and other fun events. Homes featured in this section are the Golf VII and Golf VIII series and range in size from 2,100 to 3846 square feet of living space. 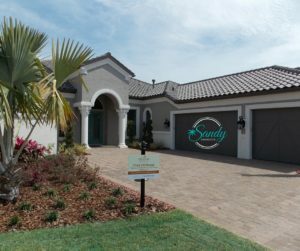 Currently, there are six model homes to view, all with 2 or 3 car attached garages and feature options such as outdoor kitchens, swimming pools, and wine storage. Prices begin at $355,000. Spa Services-The spa is fully fitted with the latest technology and updated sequences that let the users have a five-star experience. 18 Hole Championship course staffed with PGA pros. Resort-style pools and resistance lap pool. Monthly social activities organized by a community’s own Social Director. Poolside dining and tiki bar-great for social gatherings or just enjoying Florida weather. There is also a poolside fire pit where individuals can camp around and enjoy a relaxing evening under the stars. There is an on-site lifestyle director to coordinate group fitness classes, in addition to social and recreational adventures. You may want to partake in the annual chili cook-off or catch your favorite football game with your friends. 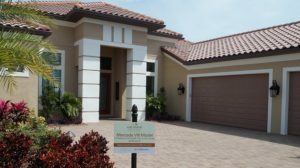 With miles of walking trails, resort amenities and even a kayak launching site, Esplanade Golf and Country Club has everything to live a healthy lifestyle in award-winning Lakewood Ranch. The beauty of being a resident at Esplanade Golf and Country Club at Lakewood Ranch is the unlimited access to the well-appointed amenities where you can spend your evenings and holidays having fun and getting to interact with family and friends.